This is the premiere Oracle 10g grid parameters book featuring Oracle 10g grid parameters, tuning, performance, configuration and installation. 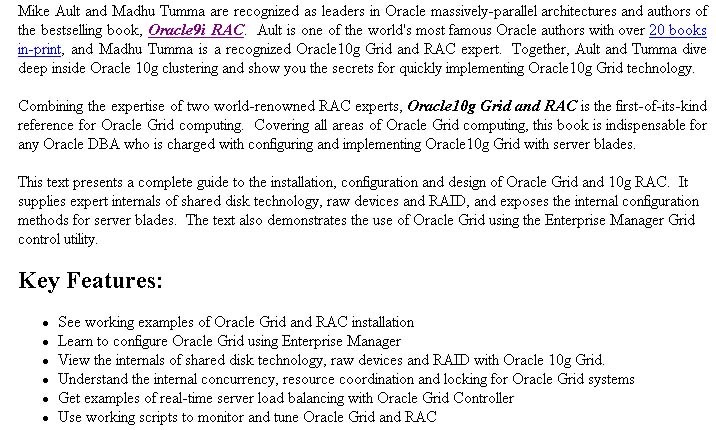 From our experts comes a great Oracle10g grid parameters book. 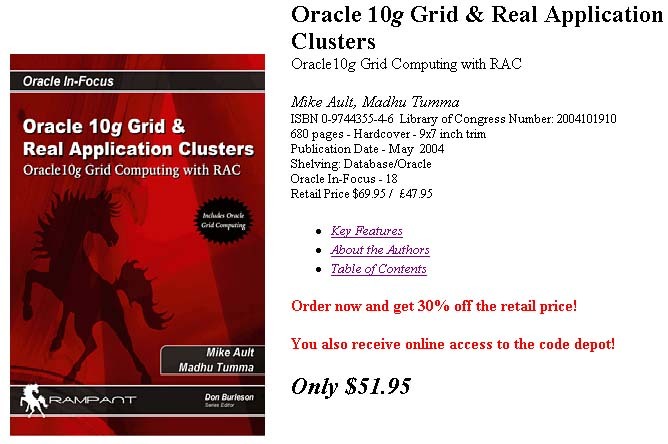 A "must have" resource on Oracle 10g grid parameters.